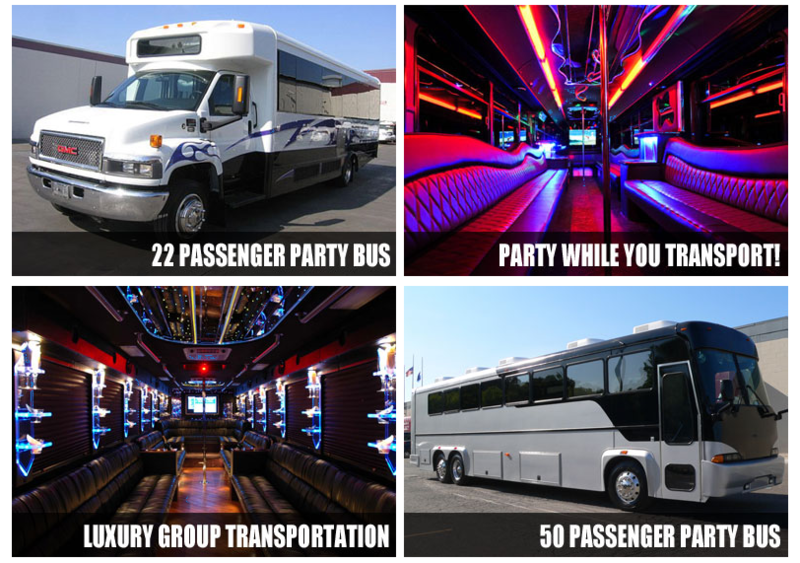 Check out our amazing party bus fleet! We have the best party buses in Lakeland FL and all of Central Florida. Our luxurious party bus fleet is perfect for transporting your large group to any destination you desire. We have party buses that can hold up to 18 and 40 passengers. A party bus is a fun way to see Orlando. Rent a party bus from Lakeland to Orlando for all events. Our company can offer cheap party bus rentals on off days, and summer time events. See all the Party buses and Limo Buses we have to offer for group events, corporate transfers, airport transfers limited, and so much more. Our coach buses, charter buses, mini bus rentals and shuttle bus service to Orlando and Tampa are much less then a party bus. So when you need cheap transportation use the above options. Grab your group of friends and book an incredible party bus to head out to The Lakeland Center for any of the amazing events that occur there. If the medieval era is in your tastes, cruise out to Tampa in a party bus rental to check out the annual MOSI- Renaissance Festival where more than 100 merchants contribute to this incredible 16th century village. Experience 12 stages of entertainment, food, 7 theme weekends, and even live armored jousting! If you’re having an upcoming wedding, party buses are the right choice for this event. Book one of our charter buses and have this special occasion at Hilton Garden Inn, The French Country Inn at Cross Creek Ranch, or The Garden House at The Lange Farm. You can keep all of your guests together and not worry about anyone being late to the venue by riding there with a shuttle service. Make sure your wedding is absolutely magical and plan it with one of these incredible party bus rentals where you can have fun even on the ride to your venue! After the wedding, head out to one of the great restaurants in the area in your rental such as Red Door Wine Market, Chef T’s Garden Grill, or GrillSmith. Call our Limo Service for a Party Bus quote: 813-514-6980. The Lakeland region in Florida sees several travelers coming to stay and enjoy the local places, especially during season. The region has several tourist attractions to offer. For the private tour operators, combining a travel itinerary of sightseeing in a party like setting is sure to attract several tourist customers. For that reason the party bus service that we offer would be perfect. Get pricing for special packages 813-514-6980! The party bus rental service that we offer has 20 passenger party bus models or more on offer. These models can be looked at and chosen as per the seating capacity and the amenities to opt for. The limousinebuses come with lounge like settings, VIP rooms and separate party zones. You can take a look at the gallery photos of our party bus website. The party bus service that we offer can be easily booked through our portal. 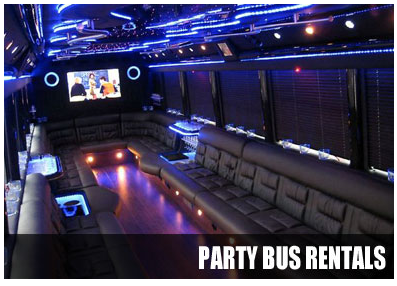 The portal that we offer has all the details of the 30 passenger party bus models that can be rented out. The party bus rental procedure is an easy one. All you need to do is find the limo bus model you would want to hire, check the amenities and features offered as well as rates of hire. Take up the online payment options and finalize the booking on our site. The party bus rental service can be availed of through the phone numbers provided as well. Polk Theatre; catch some live shows here. Lake Mirror; it is a scenic place to visit with your family when you are in Lakeland. Lake Hollingsworth; it is a waterside which offers natural and scenic beauty. Common Ground Park; the park is a local area and great to visit with kids. Joker Merchant Stadium; you will surely enjoy visiting this fun place. These are some of the several places that you can visit when you are in Lakeland. It is a daunting task to check out the shuttle services in and around the region, especially when you are looking to transport groups of people. For that reason, you might wish to take on the party bus rental service. You will be able to avail of Tampa International airport transfer service in comfort when you take up one of the 50 passenger party bus models on hire. There are several models among the passenger party bus vehicles for hire which you could take up if you are traveling to cities and towns in and around the area like Brandon, Mango, Winston, Auburndale, Lakeland Highlands, Lake Wales, Cypress Gardens, Temple Terrace, Zephyrhills, Bloomingdale.